Get plenty of room to operate with our $150 Double Stack No-Limit Hold’em tournament! Every Monday at 6:30 p.m. is your chance to make moves, and cash, with 20,000 in chips. 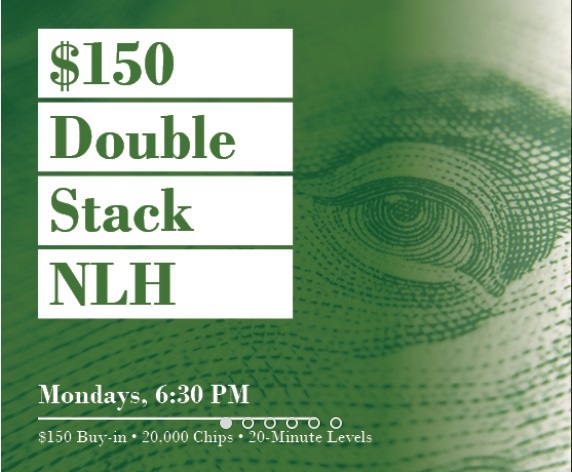 Get in on the action with our $150 Double Stack No-Limit Hold’em events! Note: Events may be cancelled due to major tournaments.